First verdicts from the WSK official tests in Adria. The countdown to the start of the 2019 season has just about come to an end. In a week, in fact, the drivers will be returning to battle on the track at Adria for the WSK Champions Cup. This past weekend , the Adria Karting Raceway was also the scene of the collective tests branded WSK Promotion: an opportunity to check out some novelties of thi karting 2019 season. In Mini, of note, the passage of Rashid Al Dhaheri from Tony Kart to Parolin. Gamoto continues to adapt to the OTK material, while Belgian Tom Braeken made his first runs on the Adria track with the Baby Race colors and the supervision of coach Rick Dreezen. Also positive for Flavio Olivieri, back with the Evo Kart colors. 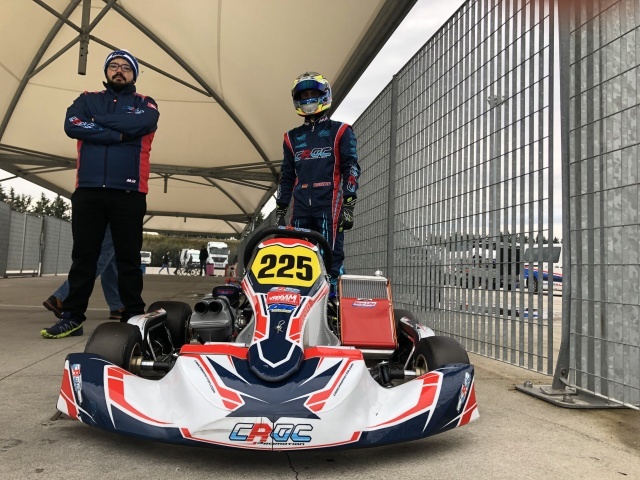 Igor Cepil (Team Driver) and Brando Badoer (Parolin) began their adventure in Junior, while at Birel ART the preparation of Cristian Bertuca continues non-stop. The winner of the Rotax MAX Challenge Grand Finals in the Junior MAX category, Robert De Haan, stood out with the official Energy colors. Laurens van Hoepen ran the second test with Ricky Flynn Motorsport colors, after his debut at Lonato. In addition to the already announced change by Lorenzo Travisanutto, from Rosberg Racing to HTP after the victory of the OK world title, three important debuts need to be noted: Gabriele Minì, already competitive with Parolin, Dino Beganovic (Ward) and Taylor Barnard (Rosberg Racing). Mini - Saturday, Sebastian Pavan (KR / TM): 55.150. Sunday, Giulio Olivieri (Evo / TM): 53.014. Junior - Saturday, Paolo Gallo (CRG / Iame): 49.533. Gallo, again, led on Sunday with a time of 49.458. Senior - Saturday, Kirill Smal (Tony / Vortex): 48.466. Sunday, Gabriele Minì (Parolin / TM): 48.275. KZ2 - Saturday, Jeremy Iglesias (FK / Iame): 48.682. Iglesias again out in the best time on Sunday, faster by more than a tenth and stopping the clock at 48.547.